Meteora: Medieval monasteries perched precariously on cliffs. Metsovo: A beautiful village tucked high in the Greek Balkans . Ioannina and Lake Pamvotis: A peaceful island in the mountains of Epirus Province.. Thessaloniki: A modern city with a dazzling arrray of Byzantine churches. Istanbul, Turkey: Ancient Constantinople remains one of the great cities of the world. About the photographers: Susanne and Andy Carvin have published online travelogues since 1995, covering their trips around the world, including India and Nepal, the Andes, the Middle East, Southeast Asia and Bali. In 2002 they released their first independent documentary, Thai Boxing: A Fighting Chance, which has aired internationally on the National Geographic Channel and has been featured at half a dozen film festivals across North America. 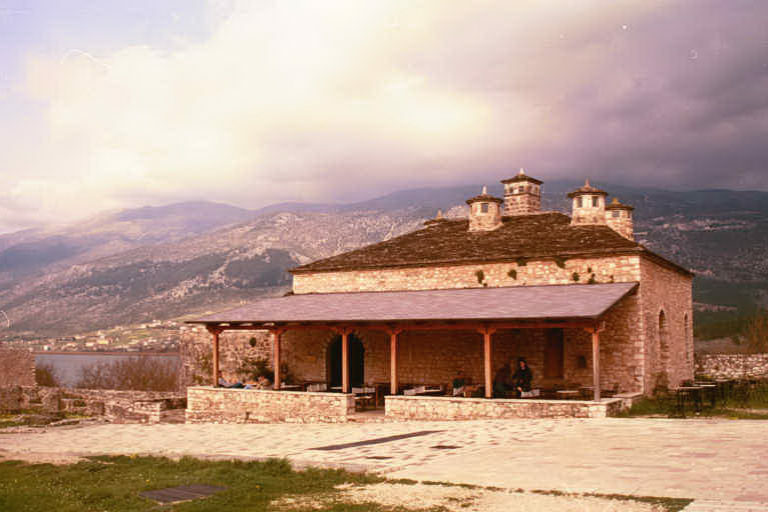 Picture at top: An old stone building, located on a small island near the Greek city of Ioannina. Please contact Andy Carvin for more information about this website.